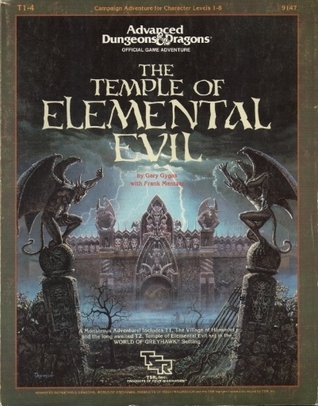 "Once far from any important activity, the Village of Hommlet became embroiled in the struggle between gods and demons when the Temple of Elemental Evil arose but a few leagues away. Luckily for its inhabitants, the Temple and its evil hordes were destroyed a decade ago, but Hommlet still suffers from incursions of bandits and strange monsters." I spent most of the weekend away from social media because of limited internet access & I got a chance to dive into Clark Ashton Smith's Zothique. 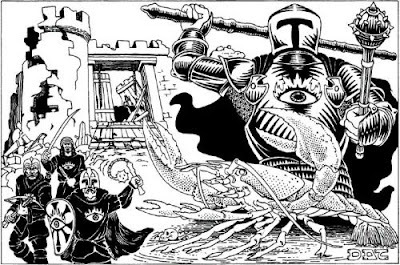 Classic TSR era Advanced Dungeons & Dragons was also on my reading list especially T1 The Village of Hommlet. I also got a chance to go over the play by post Basic Dungeons & Dragon's T1 Village of Hommlet game from 2011 on Board Game Geek. 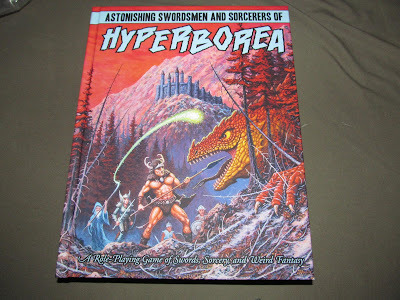 Clark Ashton Zmith's Zothique & Hyperborea cycle are key I think to placing the T1-4 Temple of Elemental Evil within Astonishing Swordsmen & Sorcerers of Hyperborea Second Edition. 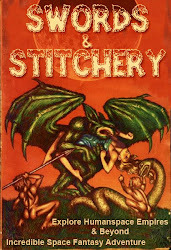 AS&SH's second edition is in my opinion superior to the first but not necessary to understand the relationship that the Elemental Evil cult & religion's impact on Hyperborea is going to have. All things natural & para natural have their alien seasons in cosmic history within CAS's work. This is spelled out in Coming of the White Worm, The (1941) from the Hyperborean cycle. Zothique's setting takes this theme further & spells it out with the rise & falling of eons of empires millions of years into Earth's future. 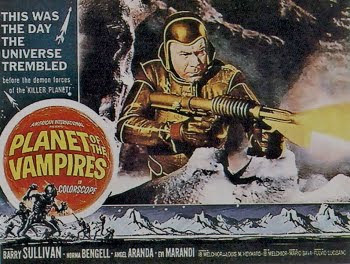 AS&SH's Hyperborea was wretched from 'Old Earth' a very long time ago & its only now that elements are settling down. Pyromancers tap the elemental chaos of fire & cryomancers the structure & law of the eternal as the druids tap into the whole of Hyperborea's very alien soul. The cult of the Elemental evil is an alien perversion brought to the shores of Hyperborea & it would cause warfare among almost every community it touched. 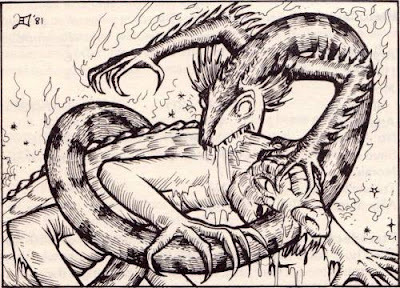 Drexlorn's Temple of Elemental Evil Research Project on Dragon's foot.org has a huge number of free resources that can be used to flesh out such a war campaign in AS&SH & beyond. The Ragnorock I speak of in my campaign of AS&SH isn't simply the Norse mythology but the death of many of Earth's gods. The ending of modern civilization & the beginning of the Hyperborean empire perhaps with the rise of the Cthulhu entities & many alien 'others'. It would be nice (if ever I get to the book-cover stage) to publish a separate volume of tales under some such title as The Book of Hyperborea. This primal continent seems to have been particularly subject to incursions of "outsideness"—more so, in fact, than any of the other continents and terrene realms that lie behind us in the time-stream. But I have heard it hinted in certain obscure and arcanic prophecies that the far-future continent called Gnydron by some and Zothique by others, which will rise millions of years hence in what is now the South Atlantic, will surpass even Hyperborea in . . . incursions of "outsideness" . . . and will witness the intrusion of Things from galaxies not yet visible; and worse than this, a hideously chaotic breaking-down of dimensional barriers which will leave parts of our world in other dimensions, and vice versa. When things get to that stage, there will be no telling where even the briefest journey or morning stroll might end. The conditions will shift, too; so there will be no possibility of charting them and thus knowing when or where one might step off into the unknown." This isn't an idle boast as the energies of these "incursions of "outsideness"" have formed the basis for a tidal wave of horror & worse on Hyperborea & 'old Earth'. 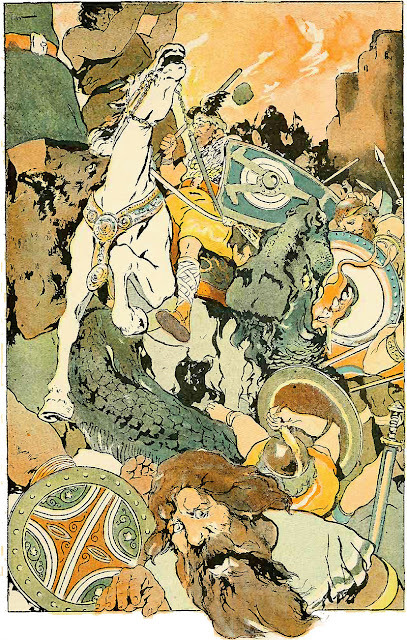 Now the dawning of the drums of war have begun again on Hyperborea & not since the days of the Green Death has talk around the camp fires been stark & cold with the violence of warfare.